Have you ever seen old black and white pictures that have been hand-colored? Before the days of color photography artists used to hand-color or tint photographs to give them a more realistic appearance. You can usually tell which ones have had this treatment, they have a unique appearance much different than today's color photography. 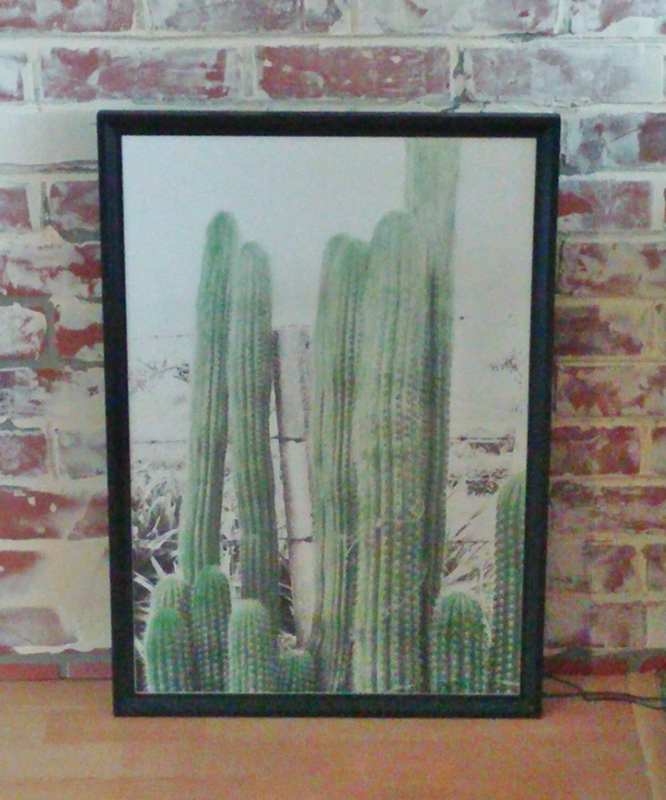 You can read about it here: Hand-Colouring of Photographs - Wikipedia. 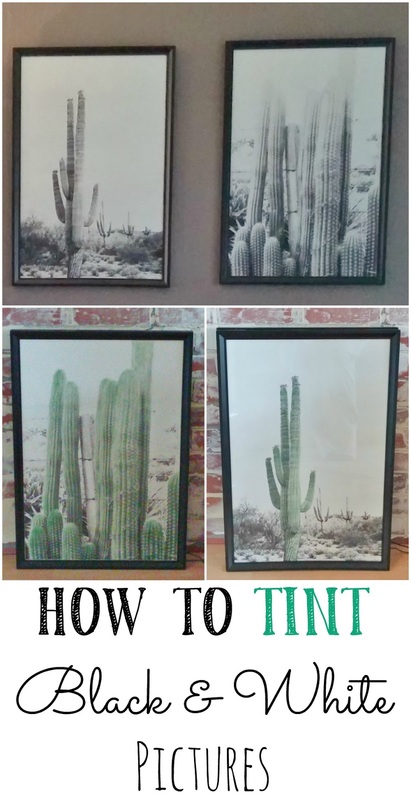 I have two black and white cactus prints and I decided to try tinting them much like they would have back in the day. This was such a quick and easy process, I thought I'd share how you can try this technique yourself! 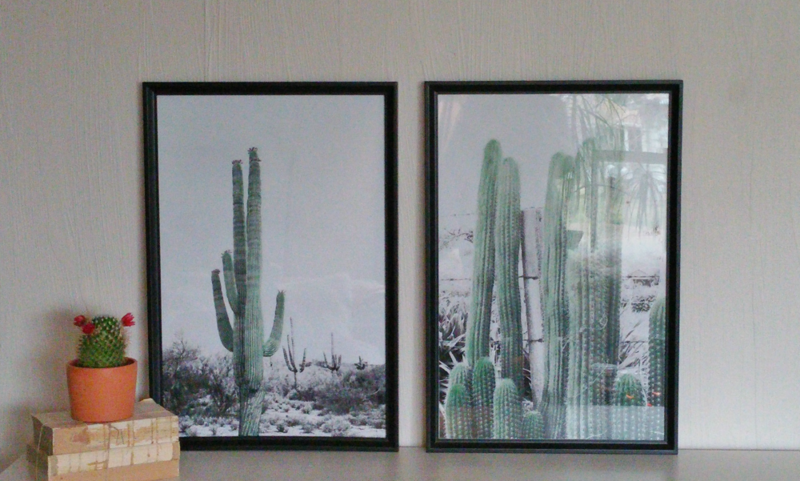 I purchased my black and white digital images from Sisi and Seb on Etsy. They have such a great selection of both black and white and color prints. Once I received the digital files I had them printed 16" x 20". You can do this all on the FedEx website and then pick up your order at your local FedEx Office or have them shipped to you! Here they are before tinting. I thought it would give them a fun, vintage look to hand-tint them. 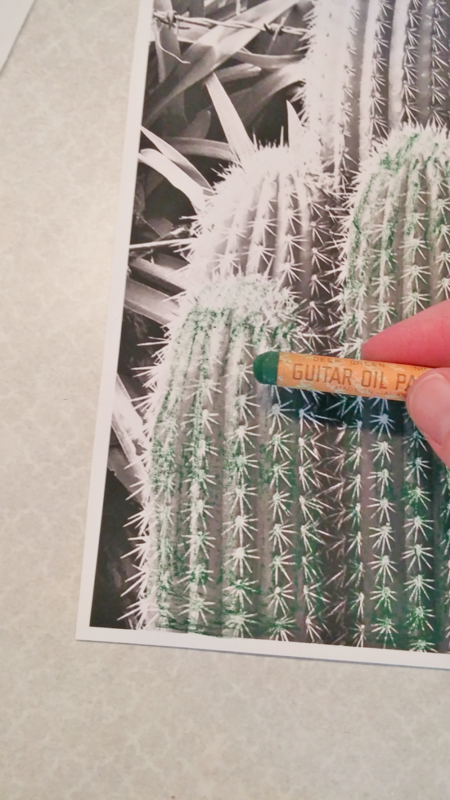 This process is so simple... you'll just very gently color the part of your picture you want to tint with the oil pastels. When I say very gently, I mean that... go as light as you possibly can... at least until you get the feel for it. You might want to practice first before trying this on your actual picture! 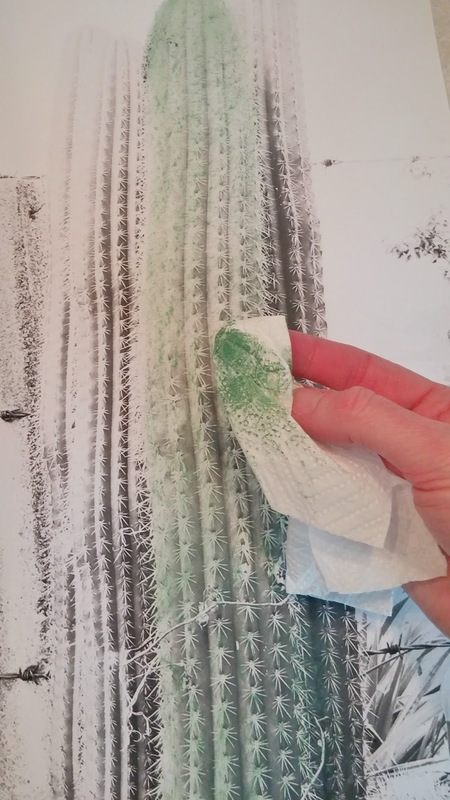 Once you have a section colored then take the paper towel and rub over it. Press hard when you do this. 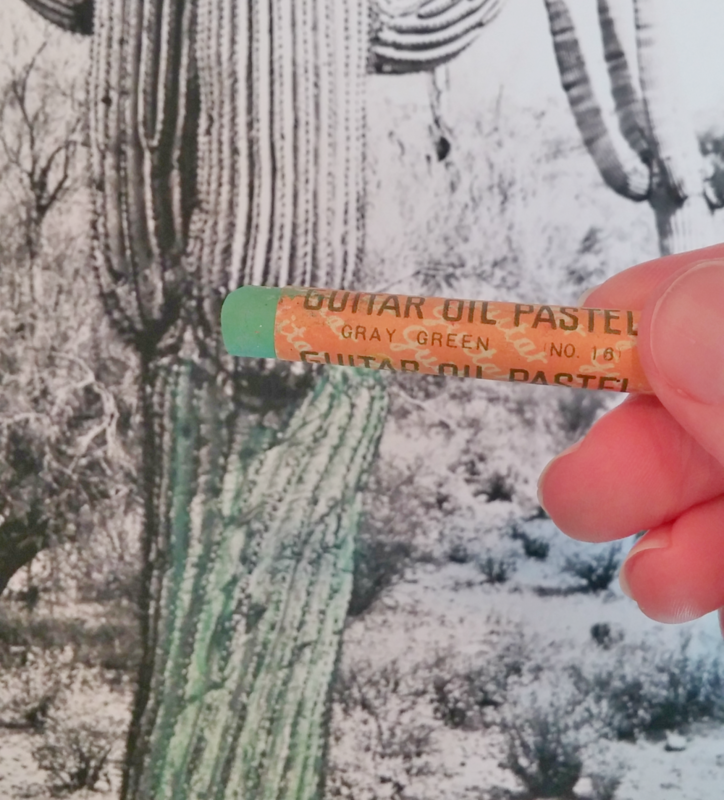 Trust me, you will not get all the color out even if you want to! This will blend in the color and make it look more natural. Some of the colors will come off onto the paper towel but that will help blend it. 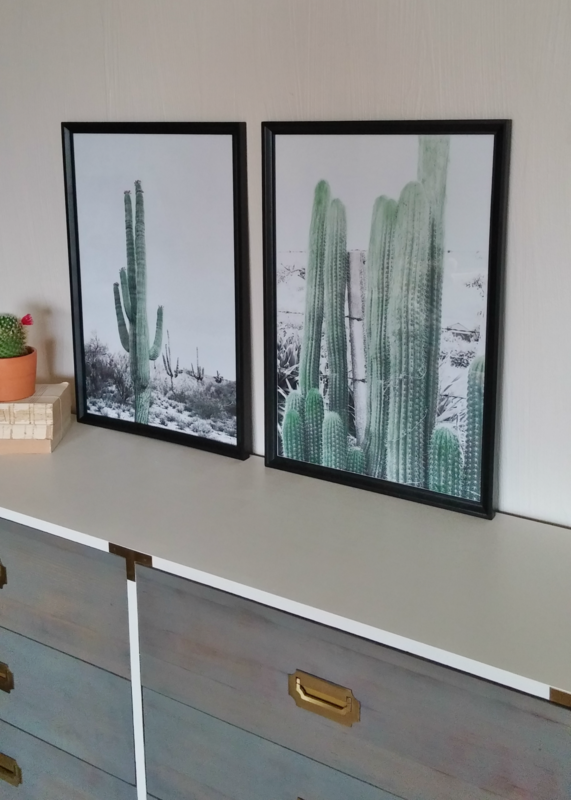 I only used two shades of green and a shade of pink for the flowers on my cactus prints. I really like how this one turned out. 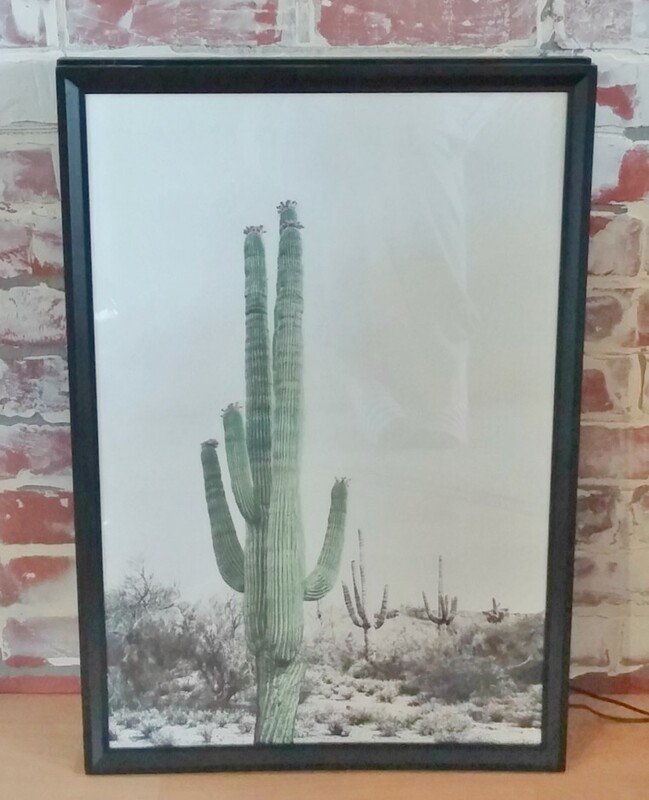 I only tinted the large cactus in the front and left everything else black and white. 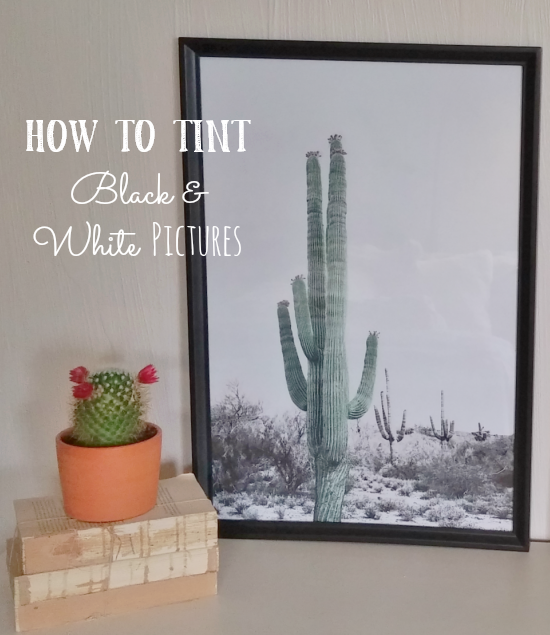 It's easy to get a unique, vintage look by hand-tinting black and white prints! I LUVVVVVVV those prints. 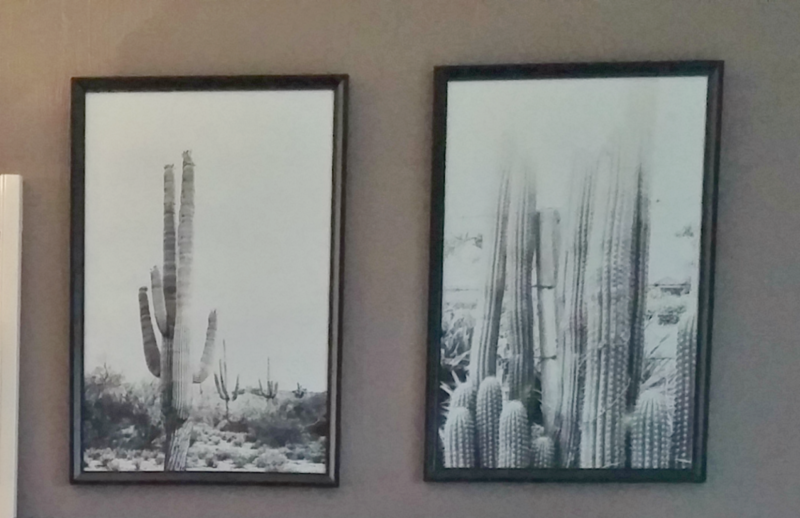 I've been working on getting more of my own pics hung up throughout our home and I love the b & w prints best. Do you use Picmokey to edit your pics? 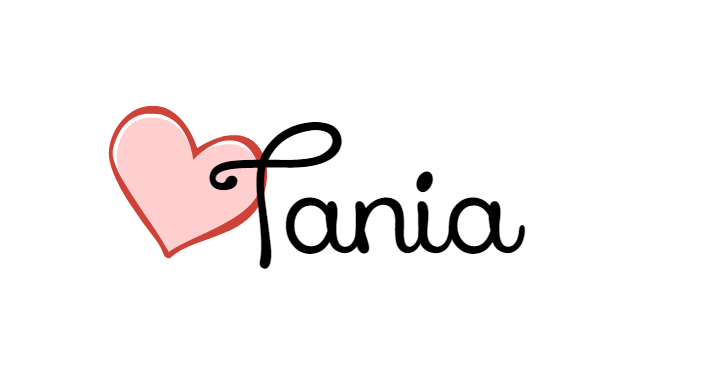 Cuz they also have a feature where you can color in certain areas. PINNING!!!!! I thought I remembered that she did! Do you know what she used... chalk, pastels, watercolors? Thanks Vikki! I'm not sure, I'm asking my mom what she used. She used to do a lot of water color paintings so it may have been watercolors. Thank you! 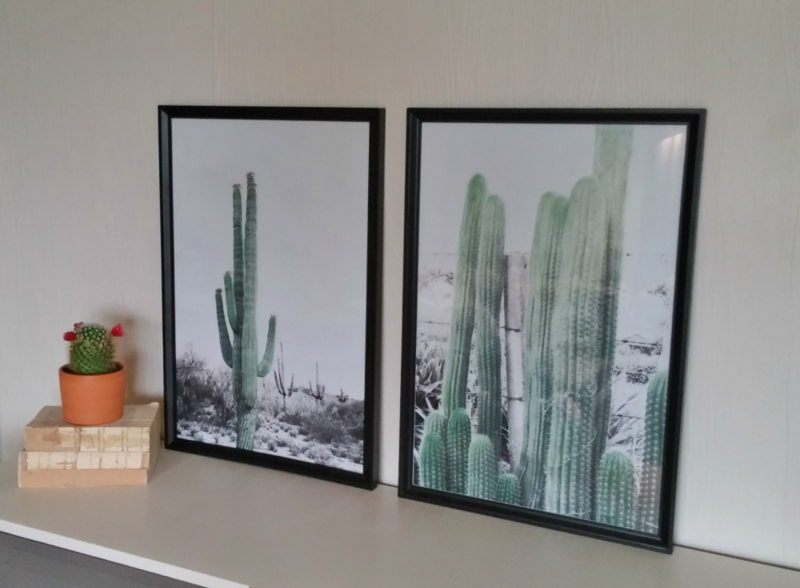 These are not my photography though, I purchased them on Etsy. Your grandma Carroll used to hand tint photos! 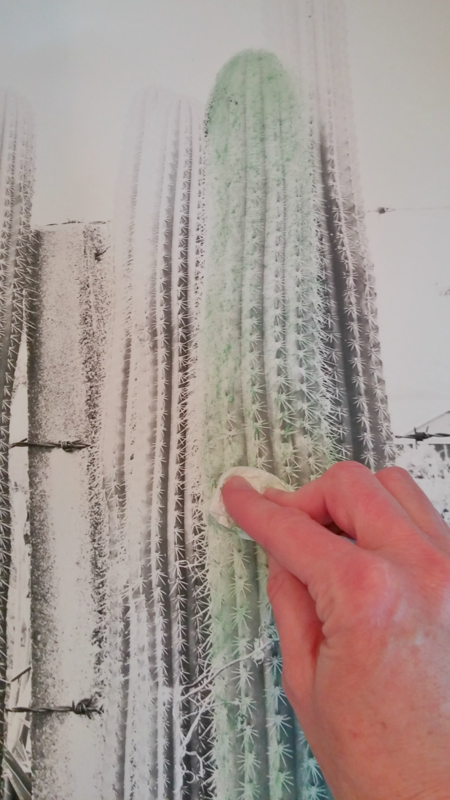 The cactus photos in the close-ups look real enough to poke you! They turned out beautifully! 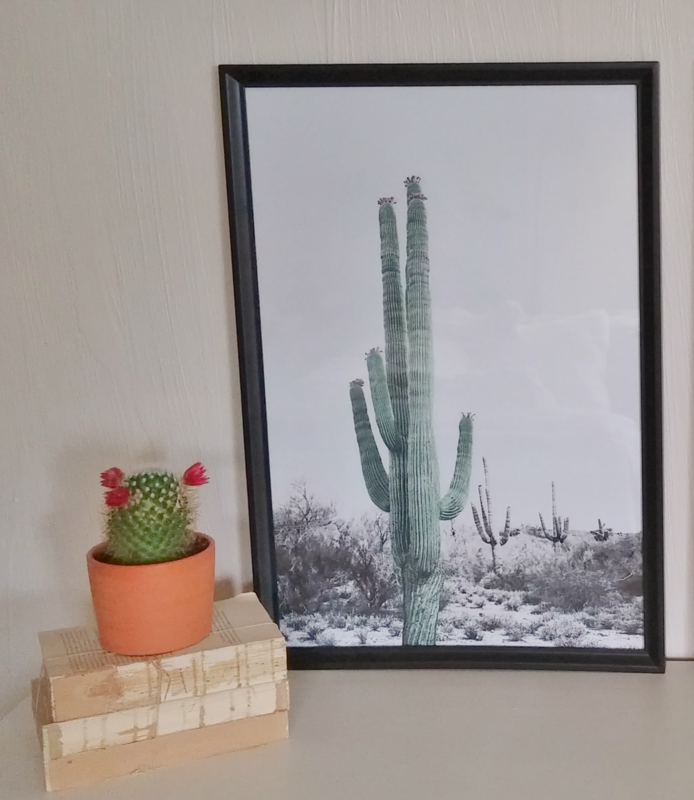 That looks really good Tania & those cacti look so real, I was afraid you were going to prick your finger! Thank you JoElle! 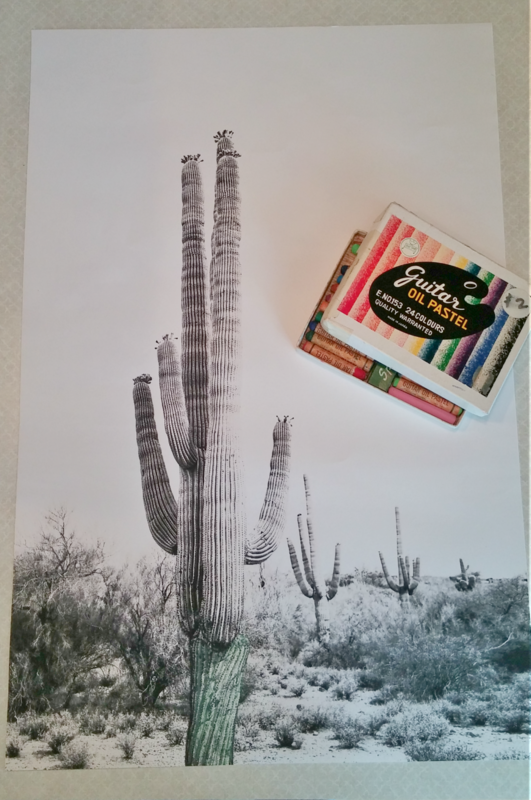 It was really simple and took me back to my coloring book days!